Create, modify, and manage P&IDs faster and more accurately with AutoCAD P&ID software. Built on the AutoCAD platform, AutoCAD P&ID is easy to use and helps boost productivity. Create, modify, and manage piping and instrumentation diagrams faster and more accurately with Autodesk AutoCAD P&ID software. Built on the latest AutoCAD platform, AutoCAD P&ID is easy to use and familiar to designers and engineers, so design teams can start quickly with minimal training. Common tasks performed every day are streamlined to help boost productivity, while component and line information can be easily accessed by designers as they work. With simple reporting, editing, sharing, validation, and exchange of design information, projects start easier, run better, and finish sooner. 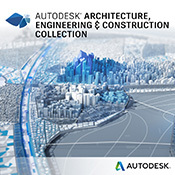 AutoCAD P&ID software is included in Autodesk Plant Design Suite. The Architecture, Engineering & Construction Collection equips you to realise your best design ideas, and bring predictability to the building design process.